On Sunday, August 10, 2014, representatives of several historic families from Puerto Viejo gathered at the Casa de la Cultura for a workshop on techniques for preserving the history of their families and their communities. The event was organized in collaboration with the Rich Coast Project and the Casa de la Cultura, and hosted by Professor Joel Blanco, archives specialist from Simmons College in Boston. 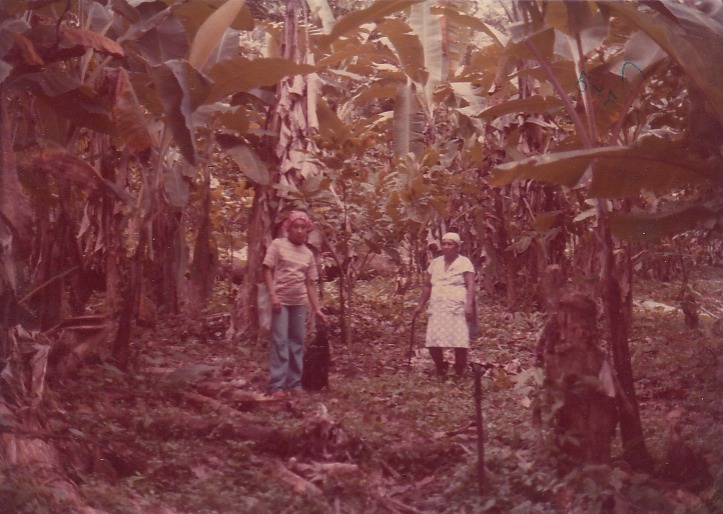 These photographs are part of a growing digital community archive of the people of southern Caribbean Costa Rica, organized by The Rich Coast Project in collaboration with many local residents and organizations. El domingo 10 de agosto del 2014 representantes de varias familias fundadoras de Puerto Viejo se reunieron en la Casa de la Cultura para asistir al taller sobre técnicas para la preservación de la historia de sus familias y sus comunidades. El evento fue organizado en colaboración con el Rich Coast Project y la Casa de la Cultura, y supervisado por el profesor Joel Blanco, especialista en archivos del Simmons College en Boston. Estas fotografías son parte de un creciente archivo digital de las comunidades del Caribe Sur, Costa Rica, organizado por el Rich Coast Project en colaboración con muchos residentes y organizaciones locales. "Playa Negra, donde potrero Rodman"
"El dia de mi boda"
I'm wearing a jacket and a necktie, so it must be my wedding. In those days there was no light, not so many neighbors. We lived close together like family. "Recuerdos de Puerto Viejo antes del gran cambio"
"Tercer generación de los Smart"
My mother with my daughter and my niece Glenda in her hand. She was a loving lady.